A modern, architecturally unique 106-room hotel at the base of Red Mountain Resort offering luxury accommodation, a restaurant and lounge helmed by Chef Marc-Andre Choquette. The property offers indoor and outdoor dining options with fire pits, event, conference & meeting rooms, a large function deck, a fitness facility, boutique spa and concierge service. The Velvet, The Josie's elevated dining offering. Enjoy a regionally inspired menu infused with subtle French flair. The kitchen team is comprised of seasoned hospitality experts including Sous Chef Simon Watkins. The flavourful culinary creations best-enjoyed family-style, include charred octopus and chorizo spiced with carrot puree and crispy chickpeas, as well as cut-to-order beef tartare. Seasonal and constantly evolving, the menu is enhanced by a carefully sourced wine list and mountain inspired cocktails, which you may like to enjoy beside The Velvet's roaring outdoor fireplaces. The Josie's outdoor slopeside pool opens summer 2019; Day Spa opens winter 2019. Guests of The Josie Hotel can embark on a world of 4-season adventure with access to skiing and snowboarding, cat skiing and snowboarding, snowshoeing, mountain biking, trail running and more. 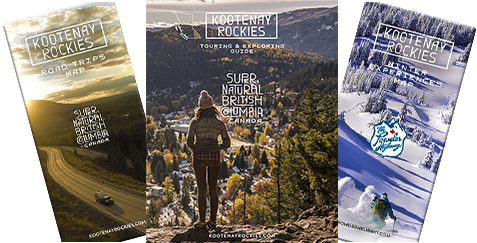 For those looking to traverse downtown, Rossland presents local breweries and dining options, as well as inspiring local arts, culture and boutique shopping. A modern property with dining options. Trail Running Camp for men & women at The Josie Hotel. Bike, golf, paddle or raft ... pick your passion during your stay in Rossland as Josie serves as your summer basecamp. Two night stay & $50 resort activity credit. While you're road-tripping through Rossland this summer, stop in at The Josie. One night stay and enjoy a hearty breakfast, lunch or dinner with $40 credit at The Velvet Restaurant. 1-888-915-6743 Valid until Sept, 2019.